When coming across a new beauty line that I've become very fond of, it would be a travesty not to share it with you guys. 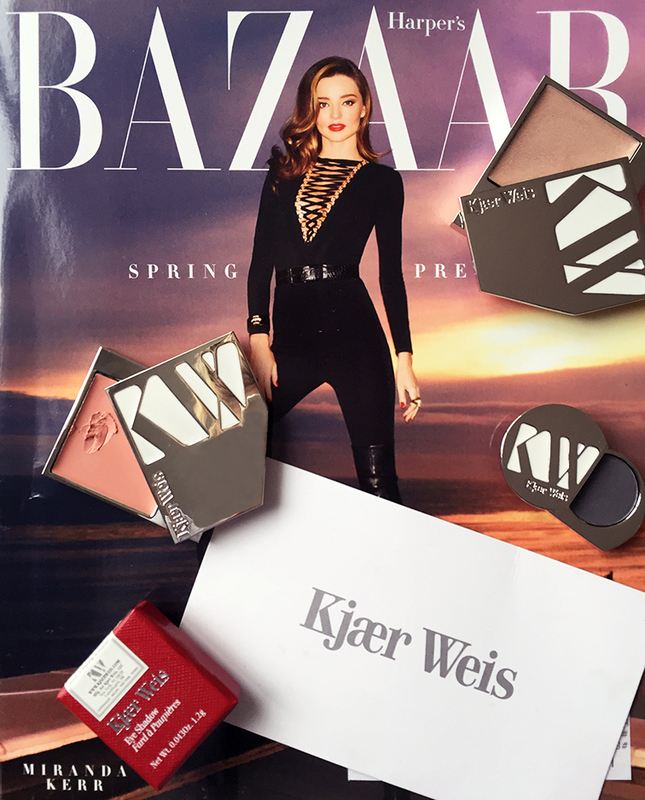 Kjaer Weis (pronounced keer weiss, I know, not the most intuitive name to say), makes some stellar cosmetics, which I've been using and loving for a few weeks. You know I don't like to look too painted on, right? I like my face to look bare without it actually being bare. Natural without actual being natural, capish? This is the kind of face goo that I want to slather my face in: subtle colors, long lasting and, more importantly, it's certified organic. The highlighter is my favorite (shop it below). It leaves your complexion looking super dewy with a perfect glow. The blush, which I have in the shade Embrace, is perfect for both the cheeks and the lips. Anyway, I love this line and I urge you to try it too.